Looking for 3rd Edition Supporting Resources? 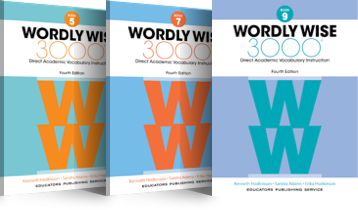 With the release of the new 4th Edition and Wordly Wise i3000™, we will be retiring the supporting resources on June 30, 2018. Resources include the audio word lists, games, and graphic organizers. 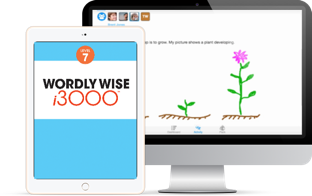 Wordly Wise 3000 has partnered with Quizlet, and online games and study activities will be available with both new programs. Until then you can access the resources below.